The World Cup always inspires me to get creative with food. This year, I decided to develop a set of recipes for finger foods or party appetizers to eat while my favorite teams play. My challenge to myself was to use the grill for these recipes. Raclette is a popular winter dish in Switzerland, but I have adapted it to for the grill. Serve this as an appetizer with small wooden forks or toothpicks. Raclette cheese is a strong, semi-hard cow’s milk cheese from the Alpine regions of Valais. 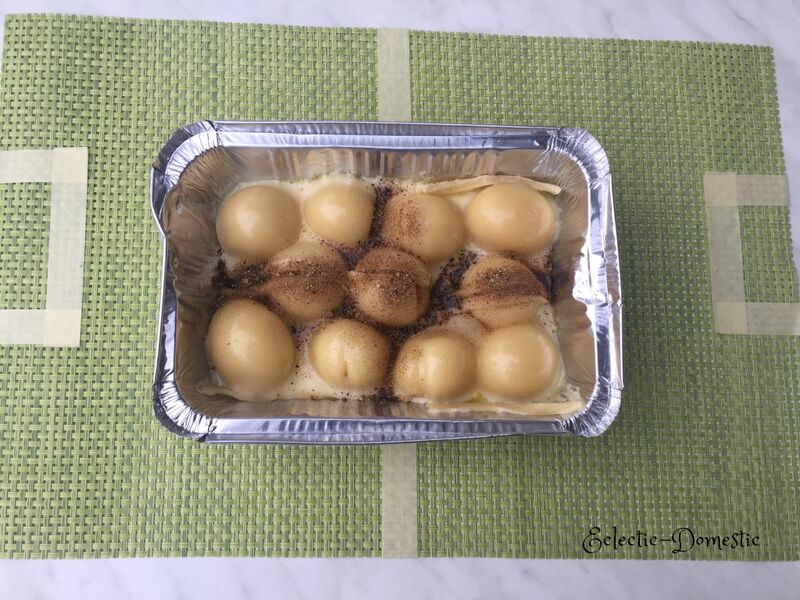 The word raclette derives from the French word racler, meaning “to scrape,” a reference to the fact that the cheese is placed in front of a fire (or heating element) and that the melted cheese is then scraped from the unmelted cheese onto the plate. The dish is usually served with small firm potatoes, cornichons (gherkins), pickled onions, and dried meat, such as jambon cru/cuit, salami, and viande des Grisons. 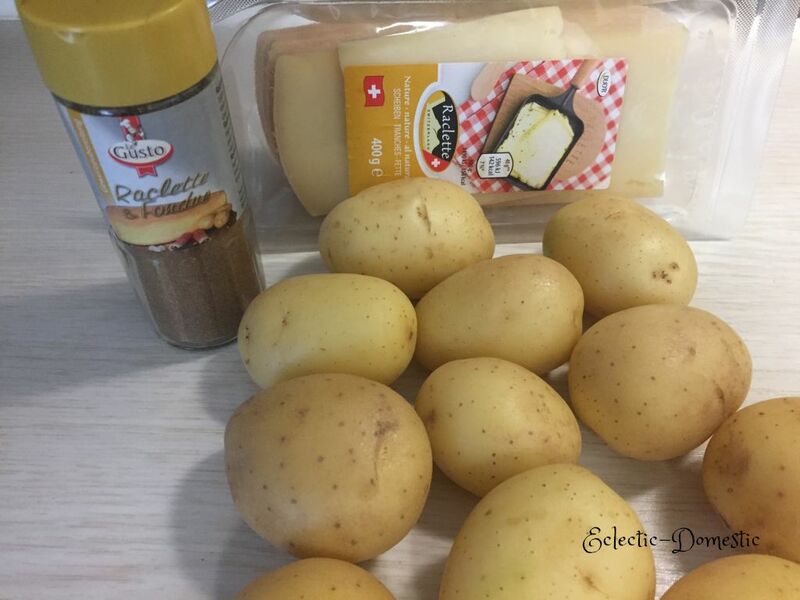 Here’s a recipe for raclette seasoning in case you can’t find the mixture in your area. (Mine contains: paprika, onion powder, pepper, coriander, garlic, mustard powder, ground caraway, chili powder, and nutmeg.) I think that, in a pinch, a mix of salt, pepper, paprika, and nutmeg would do fine. Hopp Schwiiz! And “En Guete”! Wash potatoes and place them in cold water with 1 tsp. salt. Bring water to a boil. Cook, covered, approximately 20 minutes or until tender but still firm. Drain. Place in grill tray. Cover with raclette cheese. Grill over direct medium heat for 8-10 minutes until cheese is melted. Add raclette seasoning as desired. Serve with cocktail onions, cornichons, and pickled vegetables. A Fendant (Swiss white wine) pairs nicely.